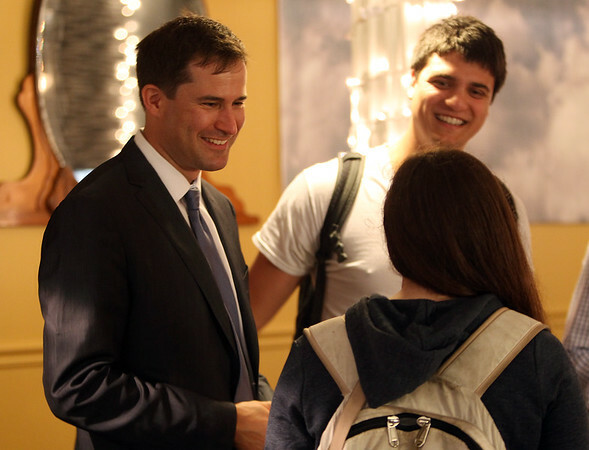 Democratic congressional candidate Seth Moulton, left, chats with Kirsi Goldynia, right, and her brother, Kai, back, at The Ugly Mug Diner in Salem on Wednesday evening, prior to sitting down to dinner. DAVID LE/Staff photo. 9/10/14.